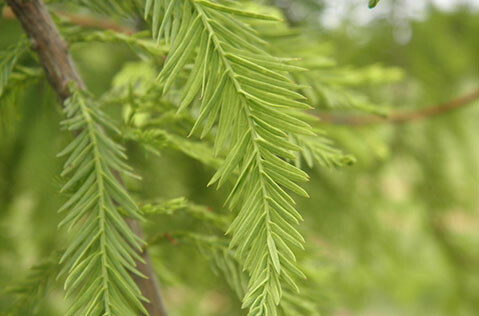 This is a deciduous conifer that sends out strictly weeping limbs. 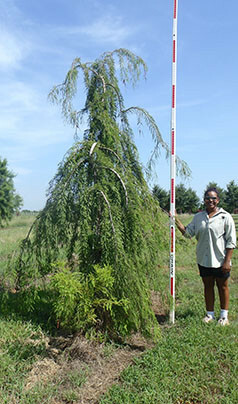 In landscape, gardeners will stake it to desired height and then allow the developing branches weep to the ground. If not staked, it will form a ground cover. Widely adapted to most sites. It can be planted near water and also flows nicely over rock walls. Bright green, awl-shaped leaves arranged in a spiral pattern.